All dog love rs should watch One Hundred and One Dalmatians this year. The film was released to the public in 1961; most have at least some idea about the storyline. 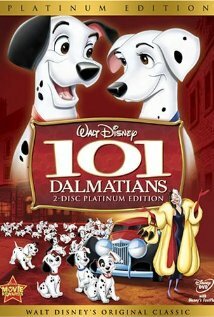 For those of you who have never heard of the film, the main characters are a pair of Dalmatians that have a litter of puppies. An evil woman who wants a Dalmatian coat steals the puppies. What will happen to these innocent souls? You will have to watch the film either alone or with family members to find out. One thing is for sure, the catchy tunes that some of the characters sing will likely be stuck in your minds for days. To learn more, go to http://www.imdb.com/title/tt0055254/?ref_=sr_1. This movie gets a five out of five popcorns rating.